Hmm, today is it going to be stripes or spots? 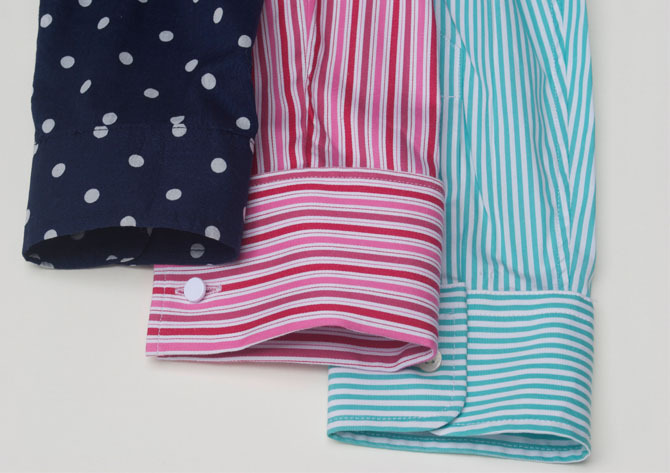 Double, single or plain cuffs? 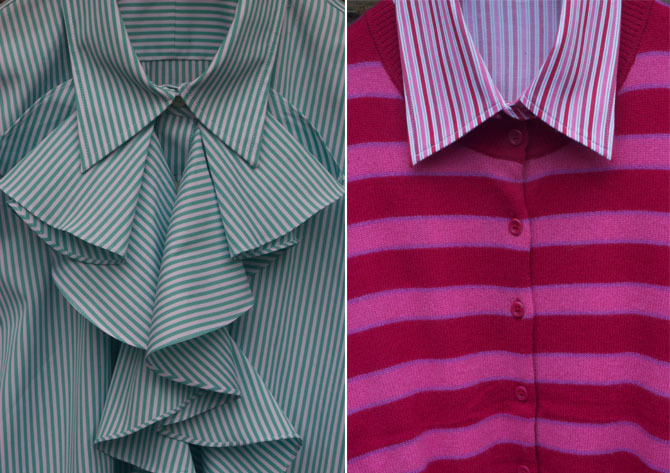 80s frills or cashmere and poplin stripes? Tricky! 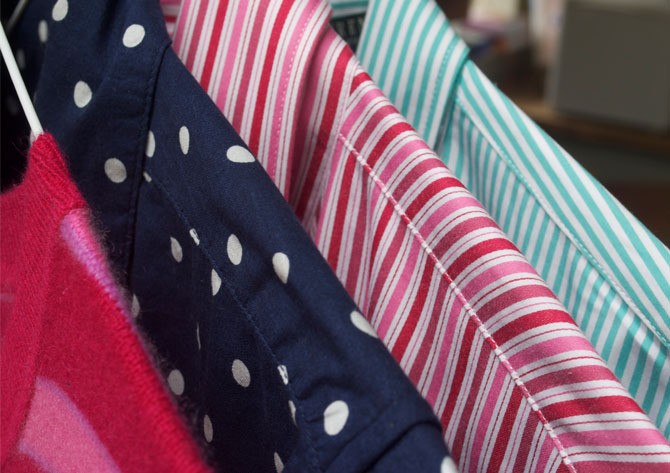 The navy polka dot shirt and the fuchsia stripe shirt both £19.99. The pine-green stripe shirt with fancy flounce frill £39.99. The cashmere red and pink stripe cardi £59.99.